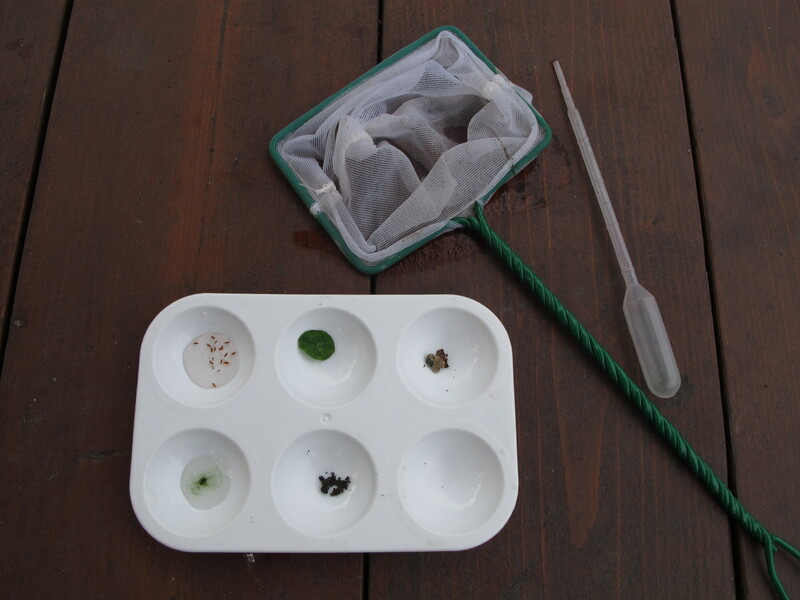 Students hunt for living things from all the kingdoms of life, and make a collection with a sample from each kingdom. 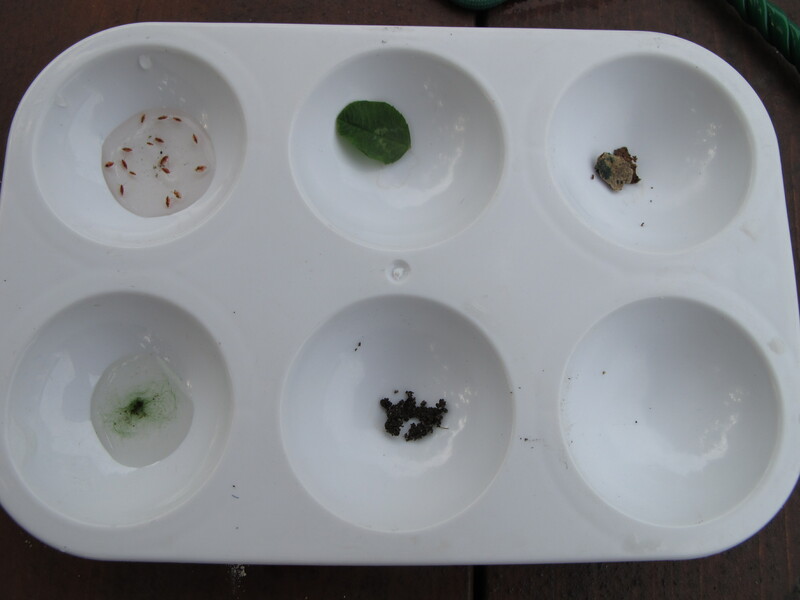 Students are taken to an outside location with a variety of ecosystems e.g. 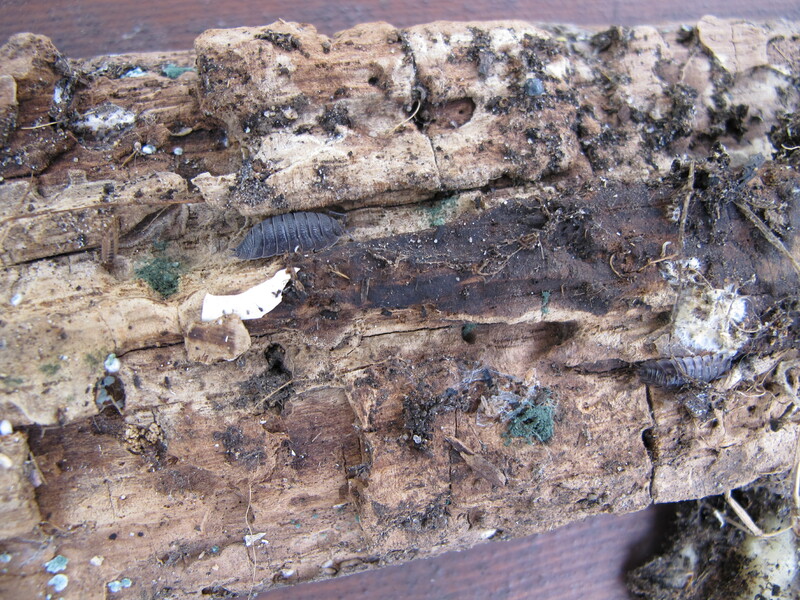 small pond, rotting wood area (see image of rotting wood with animals and fungi on it). Lay out nets, droppers, and collecting buckets in a central area. Review the kingdoms of life and the living things that are in each. Give each student a tray with compartments. Ask them to find examples of each kingdom and put them in each well of the tray. Animals - pond organisms, insects, worms, wood bugs, snails. Plants - any leaf, moss, pond plants such as duck weed. Fungi - white filaments on rotting log, mushrooms. Fungi have a distinctive smell. Protists - pond algae, pond single celled organisms recovered with algae e.g. Paramecium. Monera - bacteria in dirt, anywhere (but invisible to the naked eye).